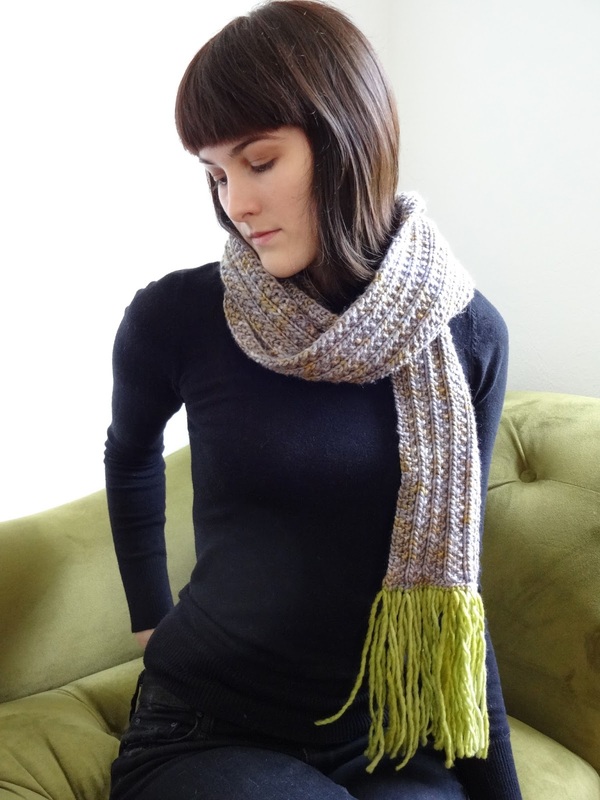 2014 update: This pattern was one of my older, more amateur efforts, but has been revamped and re-released to meet my current professional standards- I'm pleased to introduce the new and improved Show-Off Scarf! 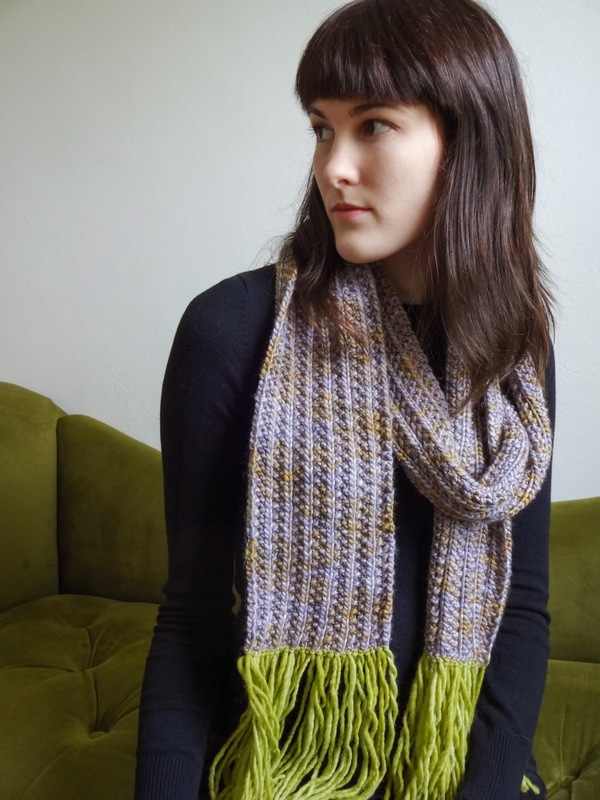 This scarf got its name because the broken rib stitch pattern is so fantastic for showing off a special skein of yarn, be it hand-dyed, handspun, or just a favorite. 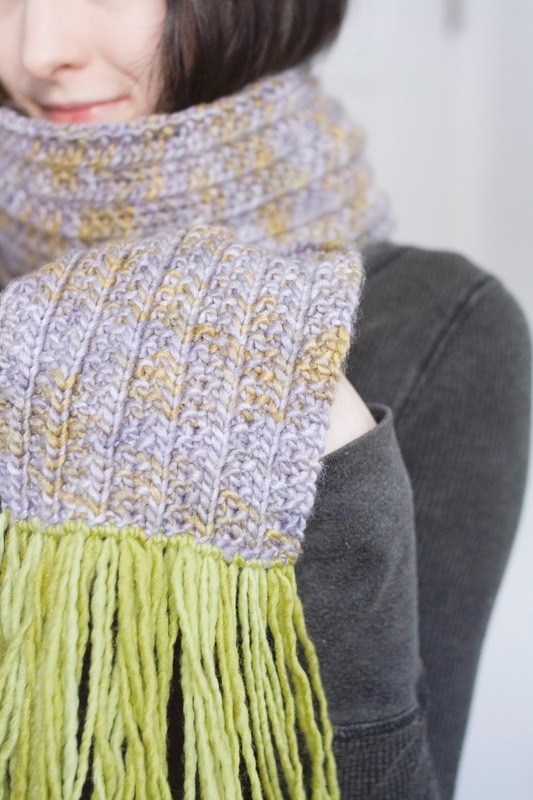 Contrasting fringey-tassels really set off the colors when using a variegated yarn, but you could use matching yarn as well. 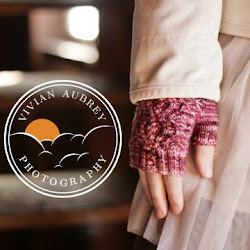 Hey, usually a simple pattern is best for handspun. Anyway, great looking scarf! 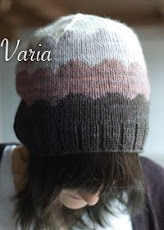 It is simple, but it looks beautiful with the right yarn, I love it! It looks beautiful. I can't believe it's really that simple - it looks much more complicated. I bought some new yarn today and think I just found the perfect pattern for it. Thanks! hey, pretty pattern! will definitely give it a shot. I would really like to work this pattern into a hat. Do you suppose (since I'm not turning my work) I would just switch the second row to p2 k2? Thank you so much! I'm working it on 10.5 size dpns, and I did 80 sts, which seems to be the right size. I'll send you a link to a picture when I'm done with it! I knit up my 3rd ever scarf using this pattern and I absolutely love it. I made it huge with thick yarn on size 35 needles. It came out great! Thanks! !